Sake Corner. Learn about Premium Japanese Sake. eSake is devoted to premium Japanese sake (nihonshu). 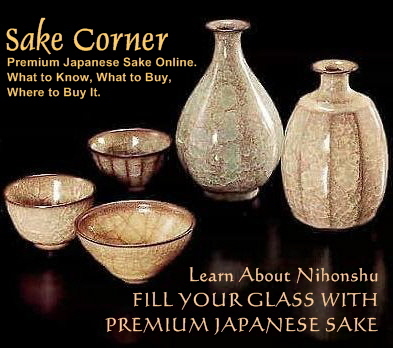 It offers a large and growing collection of online resources, including reviews of various small family-run Japanese brewers, a Sake Knowledge section and Workshop section for self-paced study, links to online sake shops in the USA and elsewhere, and over 170 articles by sake expert John Gauntner, one of eSake's founding members. The premium sake made by eSake brewers is imported and distributed in the US by Vine Connections (see below). Two dozen premium sake products are now available at select restaurants and retail outlets in 45 States, Washington DC, the US Virgin Islands, and Ontario (Canada). See details in the Sake Store. John Gauntner is widely recognized as the leading non-Japanese sake expert in the world. A longtime resident of Japan, he is fluent in Japanese and has written regular columns for the Japan Times, the Yomiuri Shimbu, and Tokyo Metropolis magazine. John has published four books, and currently publishes the monthly "Sake Wolrd" newsletter in English. He is often invited by Japanese industry and government authorities to give speeches or attend sake tastings as an official judge. He also offfers Sake Educational Products. Ed Lehrman & Nick Ramkowsky are the founders of Vine Connections, a Sausalito, California-based importer of some of the most critically acclaimed wines from Argentina. They also represent 13 of Japan's finest ginjo sake breweries. These small, ancient (the youngest is 90 years old), and traditional brewers produce some of the best premium sake ever imported into the U.S. Vine Connections distributes more than 20 premium sake products in 45 states. They are also founders of sake2me, along with Jeff Smith. Beau Timken, a professional sake taster and sake sommelier, opened "America's First Sake Store" in San Francisco in 2003. True Sake is the first dedicated sake shop outside of Japan, and carries more than 90 unique sake from various Japanese prefectures. Beau is a crusader and educator intent on introducing Americans to the delights of fine Japanese sake. He also puts on some amazing sake tastings. A sake shop and tasting bar dedicated to premium sake. Based in Seattle, Sake Nomi carries the Northwest's widest selection of imported and handcrafted sake. Run by Johnnie and Taiko Stroud, Sake Nomi is a comfortable, casual sake "museum," where you can learn about and experience a wide variety of different sake from different regions in Japan, and maybe make a few nomidachi (drinking buddies) along the way. Something different! A blended, fruit-infused junmai sake product now available in the US. 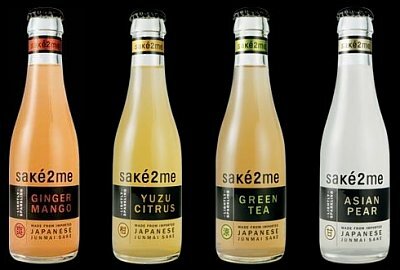 Sake2me is the first bottled drink to blend pure, premium junmai sake with all-natural Asian flavors. The result? A lightly sparkling and refreshingly clean taste of the exotic. Made by Daimon Brewery (aka Sakahan). Sakahan was established in 1826, and is located in Japan's Osaka Prefecture. Mukune sake features a mellow and dry profile in which the flavor and the finish meld together, with plenty of the richness of the rice evident. In America, the Mukune brand is sold under the name Root of Innocence, Shadows of Katano, Well of Wisdom, and Voices in the Mist. Mukune also offers free one-week Sake Brewing Internships. Robert Yellin Yakimono Gallery. 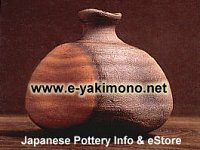 The logo shows a red sake flask aside the Japanese character for pottery (Jp. = Tou). Our Japanese Pottery Gallery offers a wide selection of ceramics from the potters of Japan, both antique pieces and those by contemporary artists. Our online selections are updated each business day. Please do visit often to view the new selections. Home to potter Richard Milgrim, who has devoted his life to making tea ware (chawan, chaire, mizusashi) with a universal appeal. Handcrafted Beer Made in Japan. Baird Beer is a celebratory experience in flavor. The basic formula for the entire lineup of hand-crafted Baird Beer is the same: Balance + Complexity = Character. The brewers of Baird Beer are dedicated to the crafting of beer that bursts with flavor and character. Baird Beer is produced in tiny batches with painstaking care, passion and reverence for tradition. A complete guide to Japanese cuisine and eating in Tokyo, with recipes, culinary travel tips, restaurant listings and more, including sake-related listings. We invite you to try Shizuoka Green Tea and discover why it is so highly regarded. The difference is the taste. Our eStore offers premium tea products sourced exclusively from the Shizuoka region. Once many tea drinkers try authentic Shizuoka Green Tea, they seldom return to others.